We often write about Enterprise Resource Planning solutions and what businesses should be looking for in terms of budget, functional fit and other technical aspects. After having implemented ERP software for more than 250 businesses we can surely say that choosing an ERP software solution requires a strict process, clear team responsibilities and the expertise of a trusted third-party advisor. But what if you are at your first attempt and want to speed up the ERP selection process? 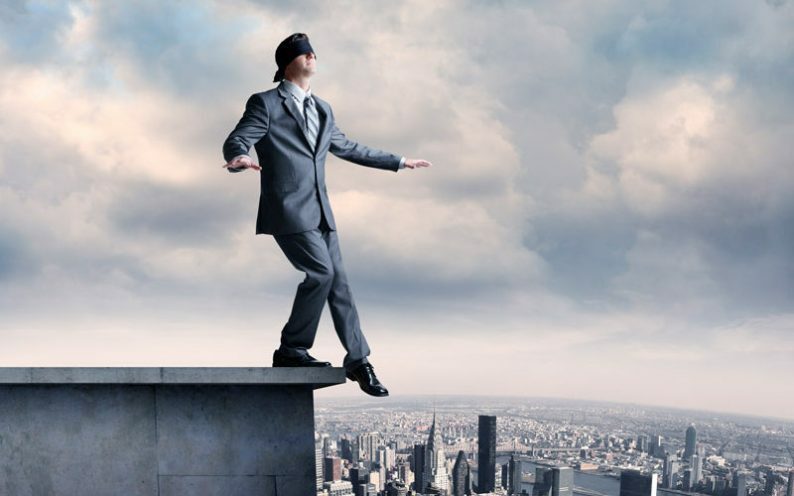 What are the risks that you should be aware of to avoid implementing the wrong solution? In today’s article, we give an overview of what (from our experience) typically leads businesses to implement the wrong ERP software solutions. The first (and easiest) way to start your journey to a new ERP software solution with the wrong foot, is to delay your ERP implementation. Not implementing an ERP software when the time comes can be a costly exercise for the whole business. You need better reporting (“A single source of truth”). When these six signals start showing themselves in your business, it’s time to start looking at a new ERP software solution. ERP requirements should be defined prior to commencing any research and selection process. The requirements list should come from every department and area of the business including finance, warehouse, logistics, manufacturing and customer service to name a few. The requirements list should define the purpose and goals of the new system and answer the question – “how does the perfect environment look for my various departments and for us as a business?”. It is vitally important to structure the ERP selection process according to your requirements list to ensure success in the short, medium and long-term. Businesses that don’t have a clear idea of what the new ERP system should possess are likely to encounter a number of challenges post-implementation. Our advise is for you to take enough time to write a requirements checklist for the new system or to work with an experienced ERP provider to guide you through the process. Cloud ERP or On-Premise ERP? If you haven’t asked yourself this question, you probably should. ERP software solutions are rapidly shifting to a Cloud deployment model for several reasons – cost-effective implementation, fully managed and maintained, low OPEX, enterprise-grade security, and more. On the other side, an On-Premise ERP setup means that you have to implement and maintain the technology environment to host the software. There is no right or wrong answer when choosing between the two. However, you should be aware of the advantages and disadvantages that these solutions present. Ultimately, you should look beyond the 5-year ROI to truly understand the benefits that one setup will give you over another. Think about your new ERP software as an enabler, rather than a cost centre. New technologies available to businesses of all industries and sizes mean that you can unlock further efficiencies for your business. Large high-tech companies are already pioneering disruptive technologies, so you don’t have to. Big Data, Artificial Intelligence, IoT, Customer Experience Platforms to name a few. When choosing a new ERP software, keep in mind these new technologies. How much should you spend on your ERP implementation? Have a rough idea of the budget available to the implementation of a new ERP for your business. This will help you narrow down your research and avoid wasting time researching the wrong solutions. 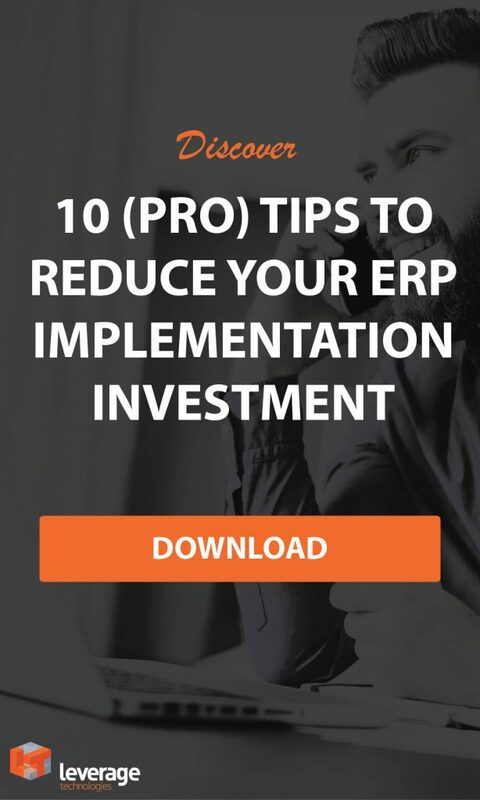 The budget is a critical part of any ERP implementation; it should be discussed internally and with your third-party provider upfront in order to set the right expectations. At Leverage Technologies, we have implemented ERP software for more than 250 Australian businesses since 2005. Over the years, we have developed a deep understanding of how different ERP solutions serve the needs of various businesses, from any industries and size. For more information or to start your journey to a new ERP software solution, call us on 1300 045 046 for a no-obligation consultation or email info@leveragetech.com.au. Vittorio Baiocchi Menichelli is Marketing Manager at Leverage Technologies. Leverage Technologies helps companies streamline their operations and increase efficiency through the implementation of Enterprise Resource Planning (ERP) and other cloud-based solutions. Vittorio is passionate about all things marketing, tech and innovation. His goal is to help Australian small and mid-sized enterprises to discover, understand and choose the right technology to drive new efficiencies and grow smart.